The nice folks in Gawker's advertising department like throwing parties and they've decided to throw one for Jalopnik readers who are in or near San Francisco this Saturday. They'll also give you all the chance to win an Xbox One and a copy of Forza 5. Details below. 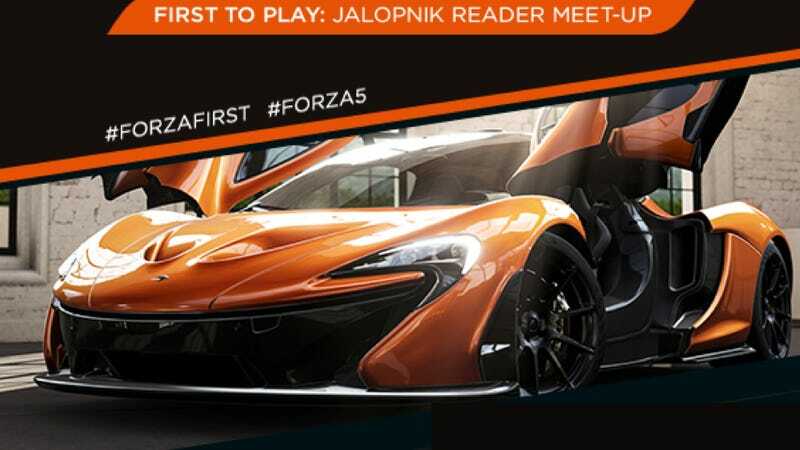 This reader meetup is a chance for you to be one of the first people to play the latest installment in the Forza franchise, as well as an opportunity to get your greasy palms on the new XBOX. All you have to do is RSVP here. What? A place for 21+ Jalopnik readers to meet, play video games, et cetera. If you tweet between now and Saturday night using the #forzafirst hashtag (marketers love hashtags) you'll get a chance to win free Forza stuff, including an Xbox One and copies of the game. You don't have to go to the party to win, just make sure to follow Gawker's Contest Guidelines.